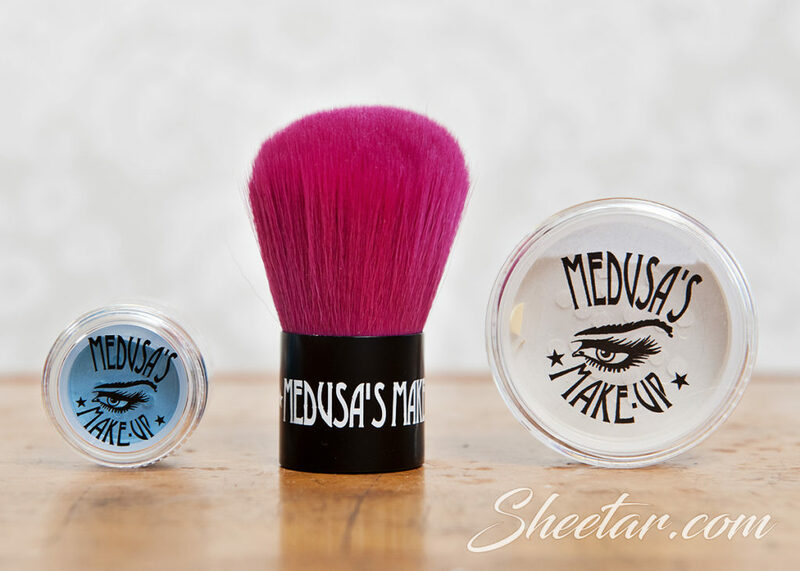 February’s Medusa’s Makeup shipment is here! This month arrived in a shiny red metallic bag and contained three items instead of the usual four, but that’s totally fine because a big kabuki brush? YES PLEASE. Eye Dust – 1.5 g / $7 – (Product is full size) The color is, “New Wave,” and is a shimmery mermaid blue. This is a real stunner of a color and I can’t wait to use it! Kabuki Brush – 1 brush / $14 – (Product is full size) The pink color isn’t really my thing, but it is a super soft synthetic brush that I’ll definitely use! You can never have too many brushes. Really. Moonlight Highlighter – 10 g / $12 – (Product is full size) The highlighter has a gold shimmer and it’s definitely warm toned. I may have to suspend my, “I don’t like sparkly highlighters,” rule because this one is truly fantastic. The shimmer is subtle enough that it just looks like a golden glow which works really well with my skin tone. The total value comes to $33 which is pretty average for the subscription which costs $15.95 per month. Again, I love the minimal packaging, no extra box or filler waste, just a bubble pack. Every time I think I might be on Medusa’s Makeup overload, they put together a really great shipment and I think I’m going to have to hang on for a little while longer!